Serving Twin Cities residents since 1902. Covers you as a driver or a passenger in any vehicle. 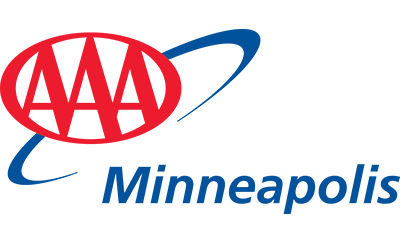 Towing, jump-starts, lockout service & more — included with your AAA membership. Explore the world with us! Book your next trip online or let one of our expert travel agents take care of the details for your next vacation. Learn how to be a safer driver, with drivers education classes and resources for both teens and seniors. Luggage & accessories for all of your travel needs. Whether you are traveling by plane, train or automobile, we have what you need to travel in comfort. Distracted driving kills an average of 9 people and injuries over 1,000 every day in America. Take the pledge to put down your phone while driving. Essential coverage now included FREE with every AAA Membership. Enroll today!